As soon as the lid was covered in leather I stuck a led strip on the inside and saw how it looked, it's perfect, it highlights the watch and the led strip remains hidden from view. 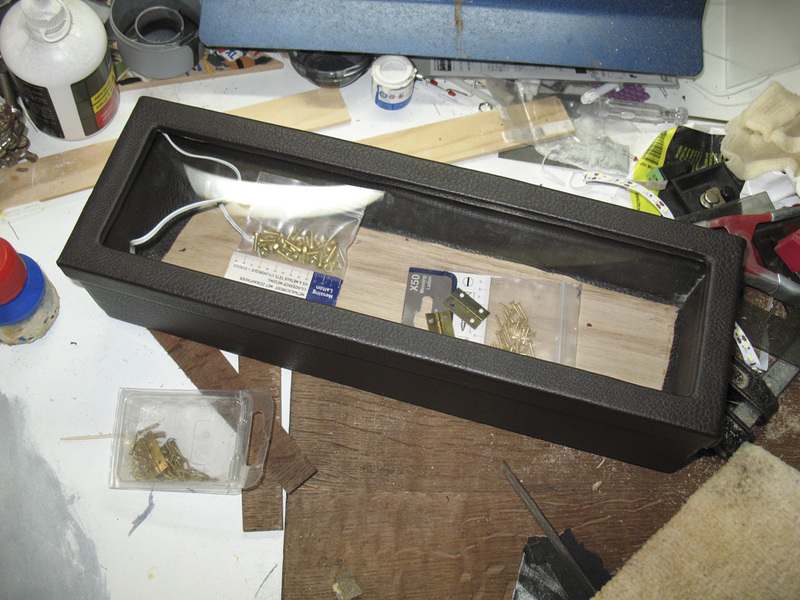 I continued with applying leather to the case and cut a piece of acryllic glass to fit the window. 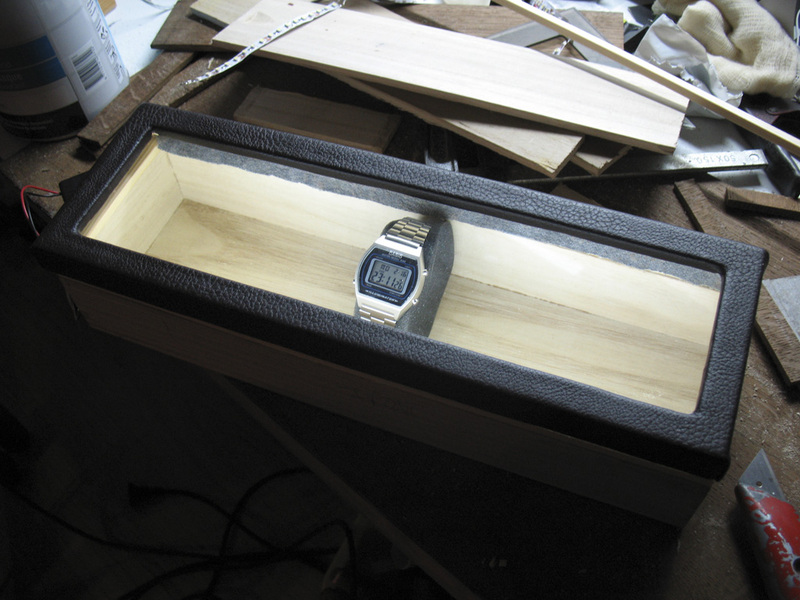 I will also need to maken some dividers in the case to give the watches each it's indivual place that will hold it in place also. The watches will be supported each with a piece of foam that I need to shape like a wrist. 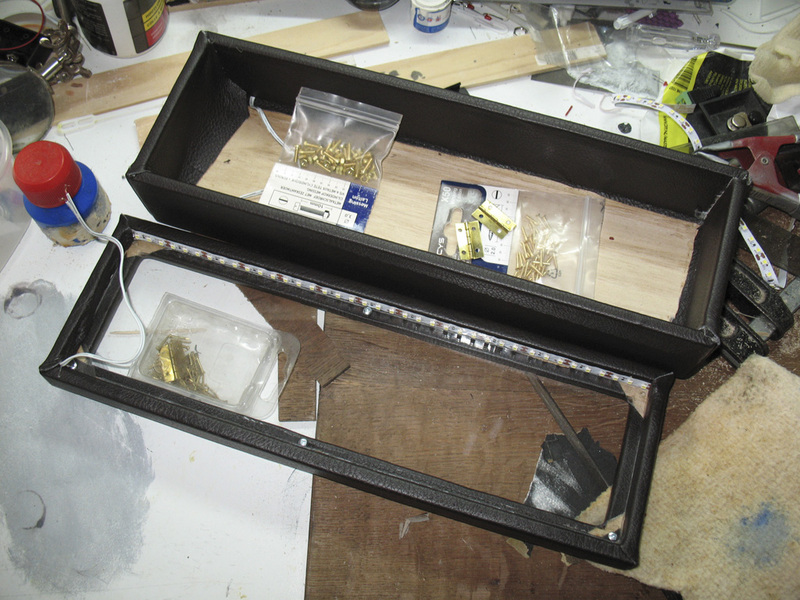 Next post I'll be attaching the lid to the case with hinges and we can start filling the case with dividers.